1981. The year the Vista Hotel opened at the World Trade Center, Greece joined the European Union, Ronald Reagan was sworn in as President of the United States, and the MPA held its first formal meeting of the general membership. 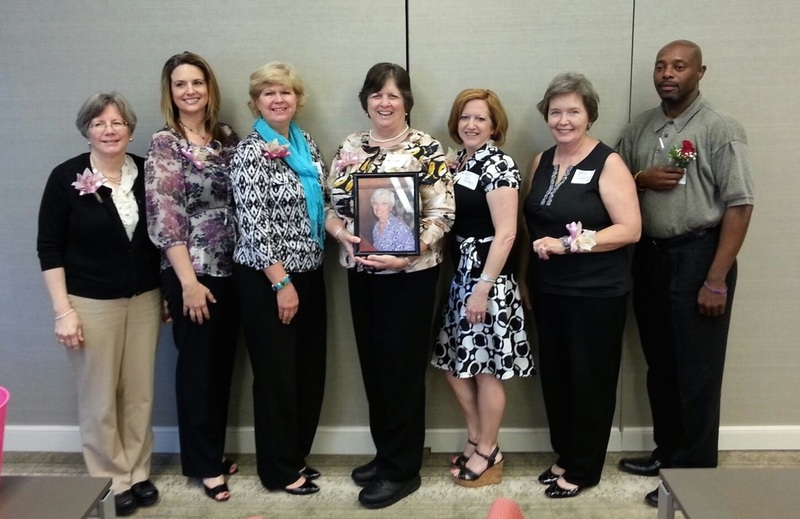 The Metrolina Paralegal Association ("MPA") was conceived during the winter of 1980-1981 by a small group of people who believed that the paralegal profession had become a reality in Charlotte and in North Carolina. The first gathering of the group was for the purpose of learning about the new state association (North Carolina Paralegal Association) and included a presentation of the proposed Bylaws and Standing Rules for the new local association.On April 21, 1981, at the first formal meeting of the General Membership, the proposed Bylaws and Standing rules were adopted, officers for 1981-1982 were elected, and "Metrolina Paralegal Association" was chosen as our name. The Bylaws and Standing Rules have been amended several times over the years. Meetings have been held at various places in the greater Charlotte area, a new location is currently being sought. If you have a location suggestion, please let us know. One of MPA's primary purposes is to foster continuing education. This was easily put into place as far as the meetings were concerned. The original policy established was to conduct at least six educational meetings per year. The more ambitious goal of continuing legal education in the form of a full day annual seminar was implemented. In addition to the annual seminar in February, MPA has also sponsored a Fall Seminar in September or October. MPA became affiliated with the National Association of Legal Assistants ("NALA") on January 9, 1994, becoming one of over 88 affiliates nationwide. The MPA annually budgets monies for a representative of MPA to attend NALA's annual convention and actively participates in making decisions affecting the paralegal profession on a national basis. Many MPA members have attained the CLA or CLAS (sometimes referred to as CP or CPA) designation from NALA. Another primary purpose of the MPA is to effectively communicate with the Metrolina paralegal community. Early communications were in the form of newsletters that were little more than one-page notices of meetings. By June, 1983, the newsletter included a listing of suggested names for the publication. At the July meeting the name "The PARAVIEW" was adopted. By June, 1987, the PARAVIEW was expanded to a magazine-style format published quarterly with substantive articles, pictures and regular and special feature articles. Until 1999, between quarterly issues of the PARAVIEW, a six page supplemental newsletter, the PARAVIEW EXTRA kept members advised of the Association's meeting dates and activities. MPA established a scholarship to assist students in the Metrolina area paralegal technology programs. The scholarship, known as the Meredith R. Pollette Memorial Scholarship (named in memory of a founding member and a staunch supporter of MPA), is an essay contest with entries judged by selected members of MPA. Over the years, the amount of the scholarship has increased to its current amount of $500. MPA members have participated in the Academic Internship Program for area high school students, which enables students to interact with working paralegals to broaden their concepts of the legal profession. MPA has been fortunate through the years to have the ongoing support of many members of the local bar and judiciary, particularly in its involvement with the education and training of paralegals, MPA is continually looking for additional opportunities to work jointly with Bar and judiciary members. MPA maintains an active membership with general, associate, honorary and Patron members. Credit for the well being of MPA goes to the past and current members of MPA and also the attorneys who have played an active role in our history. A few of MPA's past presidents. From left: Cheryl Smith, Candace Russell, Victoria Kern, Mary Willard, Anne Patterson, Gayle Green, and Antoine Robinson. Pictured: Mary Haggerty.